Having a fridge is not a luxury in Australian household. Instead, it is a necessity. However, the electricity bills that you have to fill every month because of enjoying fresh vegetables or a chilled beer is enough to make a hole in your pocket. Well, you can make an effort to search for the refrigerator that is energy efficient, but those are costlier than the regular ones. It will prove to be quite surprising for you to know that you can apply some practical strategies to make your existing refrigerator becomes energy efficient. Follow some of the ground rules that you need to follow to ensure that your refrigerator turns out to be energy efficient, without much effort. In the case you have placed the fridge too close to the microwave or any other heating appliance; you must move it somewhere else. The heat generated from these devices directly hit the body of the refrigerator and heat it up as well. As the indoor of the refrigerator needs to be cooled down, ditching the heat coming from the outside, the compressor will take too much of pressure. As a result, power consumption will be doubled up automatically. For the same reason, you are required to keep the refrigerator away from direct sunlight as well to control the electricity consumption. In most of the case, an imbalance in the temperature inside the refrigerator occurs because the doors remain open. Keeping it on an uneven surface often cause the problem and to make sure something like this does not happen, you ought to buy an even platform for not letting the door become open. 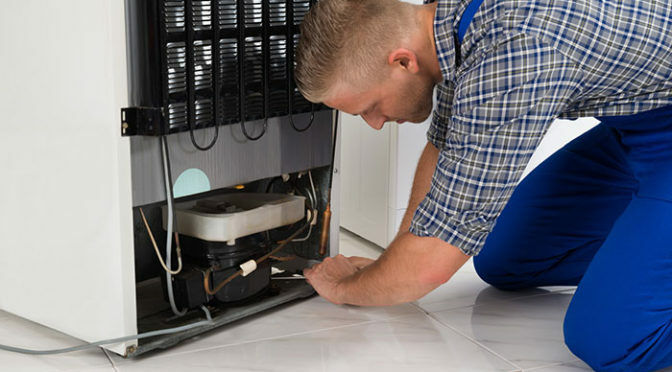 It is always recommended by the experts of residential fridge repairs in Sydney to keep the temperature within 36 Fahrenheit to 38 Fahrenheit. Research has proved that maintaining the temperature within this setting is perfect for keeping the food fresh and the power consumption also remains limited in this setting. Therefore, to make your existing cooling system energy-savvy, you must follow this practice. You may not realise it but the gasket of the refrigerator door gets damaged quite often, and as a result of the cooling system also gets hampered, pushing the temperature at risk. Not many people know that, but the gasket is quite inexpensive in reality. The absence of this particular tool may cause a lot of disadvantages such as consuming maximum energy. Therefore, replacing it with a new one will prove to be a wise decision on your part. Among the reasons discussed above, keeping the door open for too long cause maximum power consumption. Therefore, to mitigate the chances, you have to convey it to every single member of the family. In most of the cases, kids make a mistake mostly. You should let them how it can hamper their ice cream to take care of this particular issue. Consider calling the experts for timely servicing and make sure the problem is handled with proper attention. Next PostAre you Aware of the Maintenance Rules for Commercial Fridge?